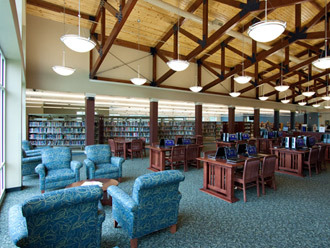 The New Morgan County Public Library facility replaced the former building which stood in the same location. 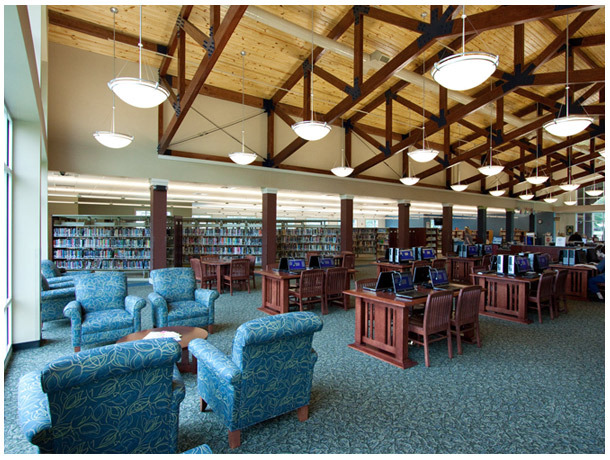 Located near Madison's famed historic downtown, the new 15,988 square foot library is open and airy, with a grand central space reminiscent of traditional library reading rooms. The Information Desk is visible from all the public areas and accessed on all sides. 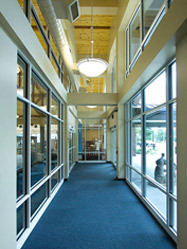 It provides for numerous public and staff service functions in efficiently designed custom wood modules. 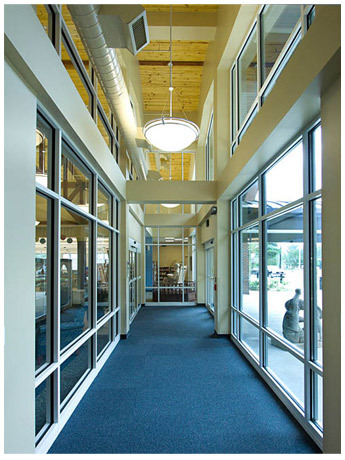 Large matching arched window walls at each end of the building are the signature architectural design elements. The large wall opening for the rear window wall stands ready to receive a possible future addition. 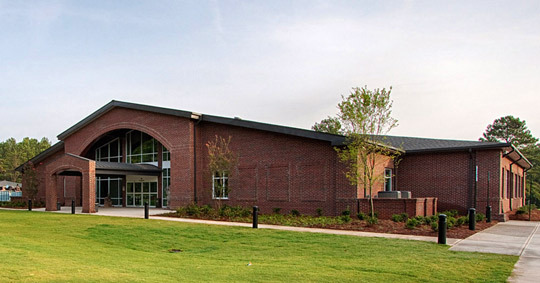 The red brick exterior responds to the education complex including a high school and elementary school, which surround the site, and is in keeping with the historical downtown context. • Expanded public computer stations.